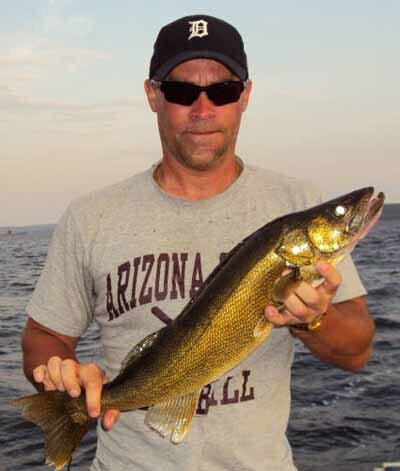 Lake Nipissing is an absolute world class walleye fishery that produces both size and numbers. Where else can you fish for walleye in the province of Ontario and have a fly-in calibre experience without ever leaving the ground? 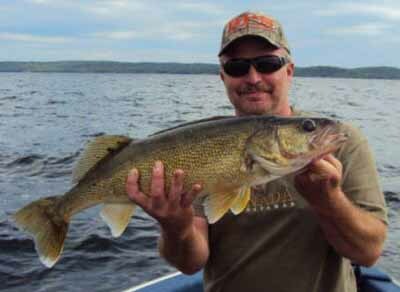 The average size of Lake Nipissing's walleye is what tells the tale of a productive fishery. 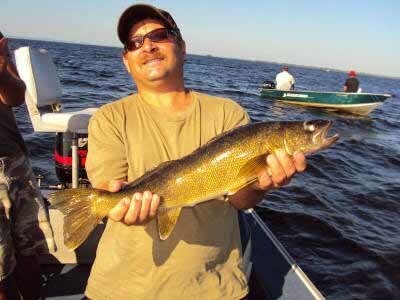 The lake is absolutely stuffed with walleye in the two to three pound range. Walleye can be caught here all day long unlike many other waterbodies where there is a brief window of activity during low light periods. Some of the best walleye fishing can be had in the middle of a sunny afternoon! Generally a jig tipped with a worm, leech or minnow gets the job done with bright colours being the most effective. Other highly successful tactics include slow trolling small inline spinners tipped with a worm and casting or trolling minnow immitating crankbaits. 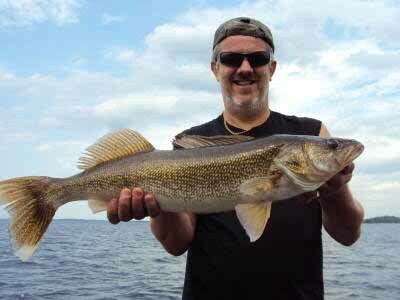 The South River is a major walleye spawning ground which provides some truly phenomenal fishing opportunities from the season opener (3rd Saturday in May) to mid-June when the post spawn, lake run walleye return to the lake. The South River also supports its own population of walleye which remain in the river year round. They can be distinguished from their lake run cousins by their darker colouring. 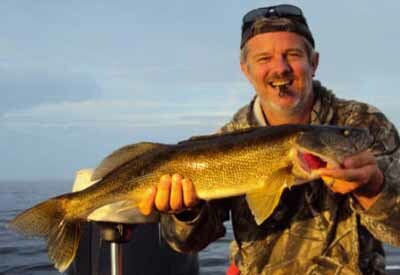 The month of June is when Lake Nipissing really shines as one of Ontario's best walleye fisheries. Walleye can be found concentrated in large numbers, in predictable locations, and can keep the angler scrambling for the landing net. June is trophy walleye time! 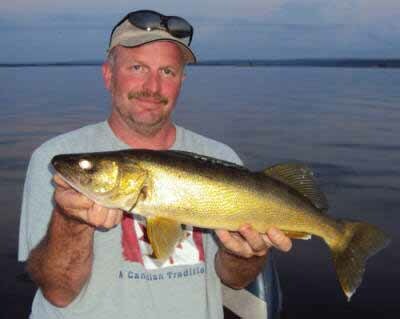 As the summer progresses into July and August and water temperature rises, Lake Nipissing's walleye begin to hold at deeper depths, making feeding forays into shallower water in the morning and evening. The angler who positions themselves in these feeding areas can be in for a walleye fishing bonanza. 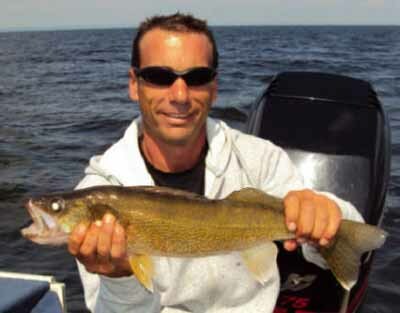 As in the spring, mid to late September sees the the South River again becomes a walleye hotspot as they come in from the lake for what the MNR refers to as a "false spawn. Spawning does not actually occur. Some truly great walleye fishing is available from mid-September to October 1st when the river becomes a sanctuary to protect these fish. 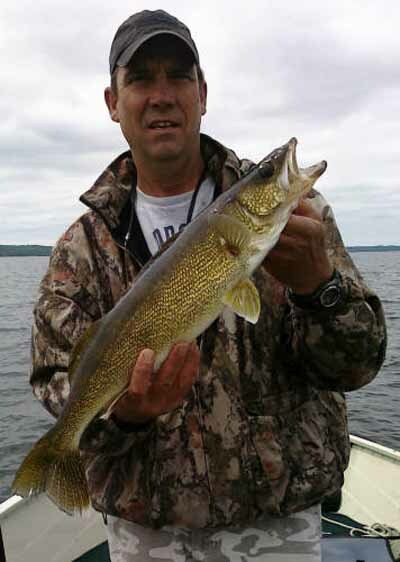 Plenty of fantastic walleye fishing opportunities are available on the lake during this period and until the 15th of October when walleye season closes there also. Walleye fishing in Ontario doesn't get much better than this! On site professional guiding is available. Select "Fishing Charters" above for more details.